The global research project, 100 For Parkinson’s, has shared new information that sheds further light on the quality of life and health of its participants. 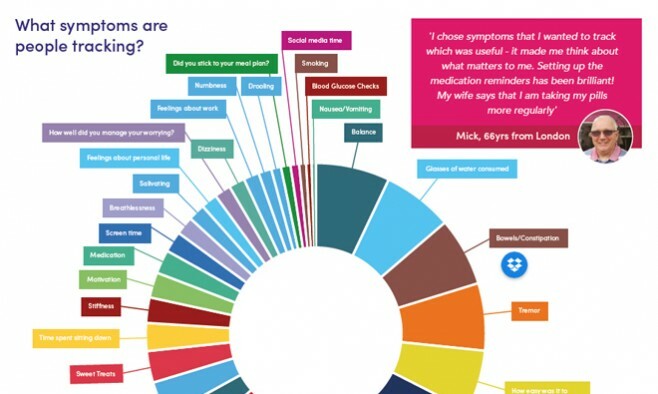 Thousands have taken part in the study that invites people to self-manage their health – with participants from the UK, the US and beyond ­– and the data is beginning to show some trends. Researchers will undertake the full, in-depth analysis in 2017. 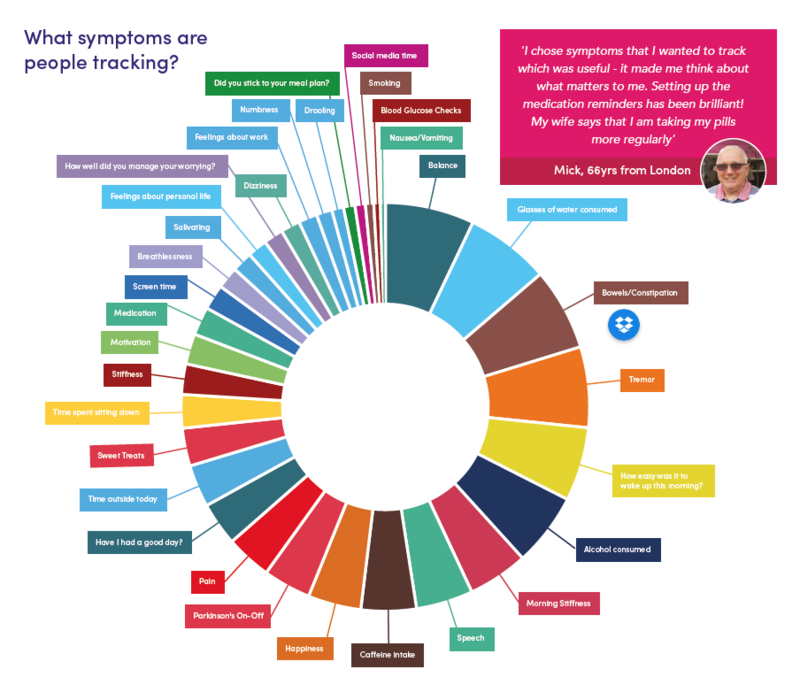 Launched in February, 100 For Parkinson’s has been gathering data donated by participants who track symptoms of their choice – depending on what matters most to them – via their smartphones for 100 days. The study is open to anyone, not just people with Parkinson’s, as researchers will be able to carry out comparative analysis from different sets of data from different demographics. 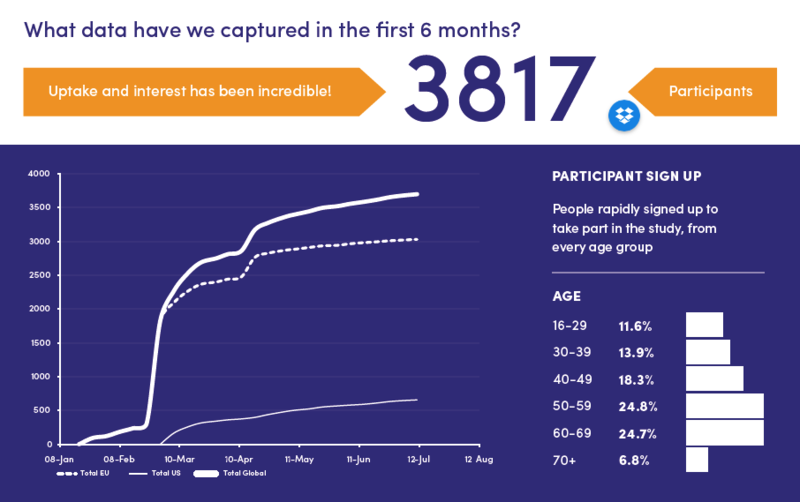 In the first six months, nearly 4,000 people participated in the study, with solid representation across all age groups. According to the data, the top three clinical conditions that participants with Parkinson’s reported are high blood pressure (21%), arthritis (20%) and depression (18%). 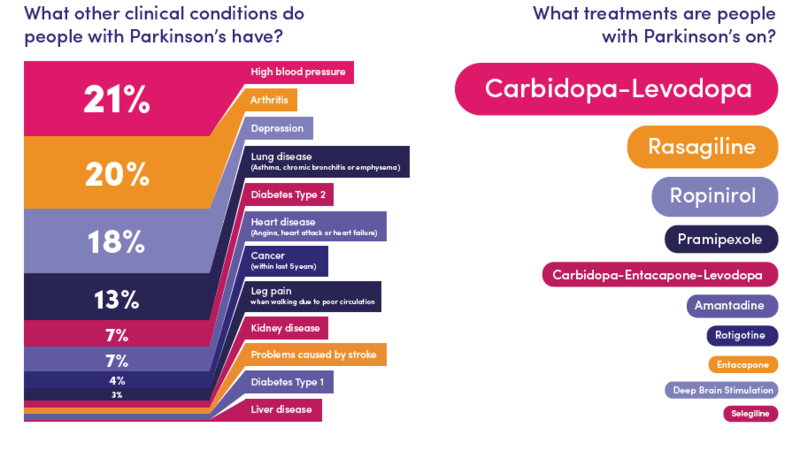 While this is just a snapshot of what the study can deliver when researchers start working on the full dataset next year, the team behind the study are still urging more people to take part – with or without Parkinson’s – and sending out the message that we “cannot gather too much data”. Academics at University of Oxford, University of Sheffield and elsewhere, have already stated their interest in working with the dataset. Full analysis is due to begin at the start of 2017. Download the full infographic as a pdf file.